This is a cute Block O design. One way to use the mini quilt is to put it in the bottom of a serving tray. Kit includes the exclusive pattern and enough fabric for the top and binding. 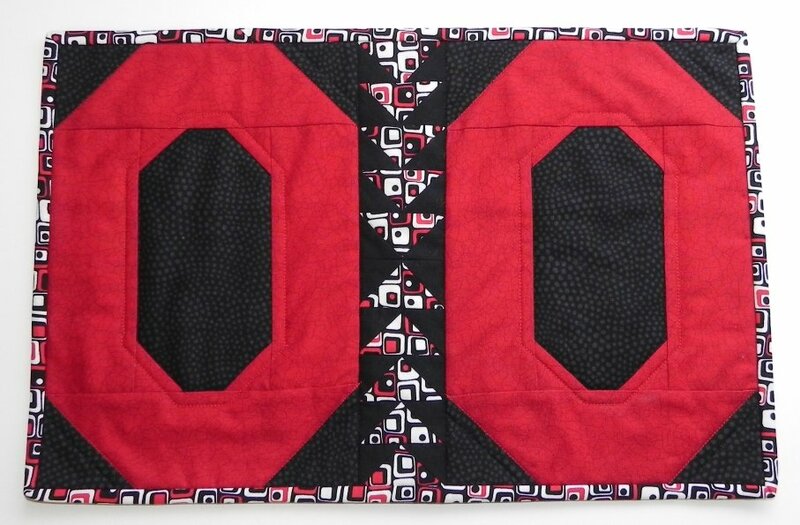 We've chosen scarlet, gray and black fabrics along with a coordinating print. Fabrics may vary from photo shown. Finished size ~ 16" x 20".